There are some species of birds that attempt to fool us with a name that inaccurately depicts them, such as Red-bellied Woodpeckers. In this case, one would visualize a sharp billed bird with a cherry colored stomach, when in fact these birds present with a red head and gray belly. 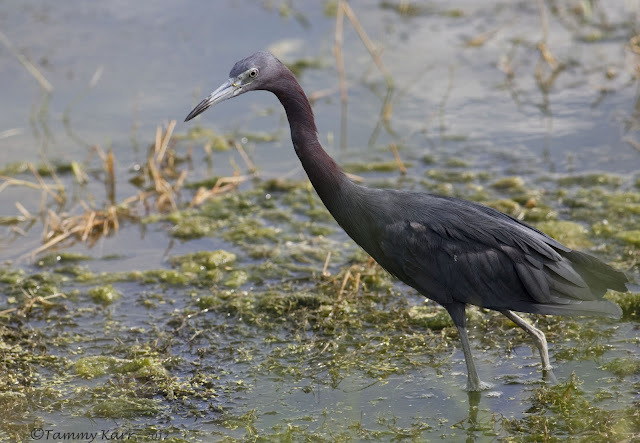 Another species that can cause one confusion based on its name is the Little Blue Heron. As adults, Little Blue Herons do accurately fit the description of their name. 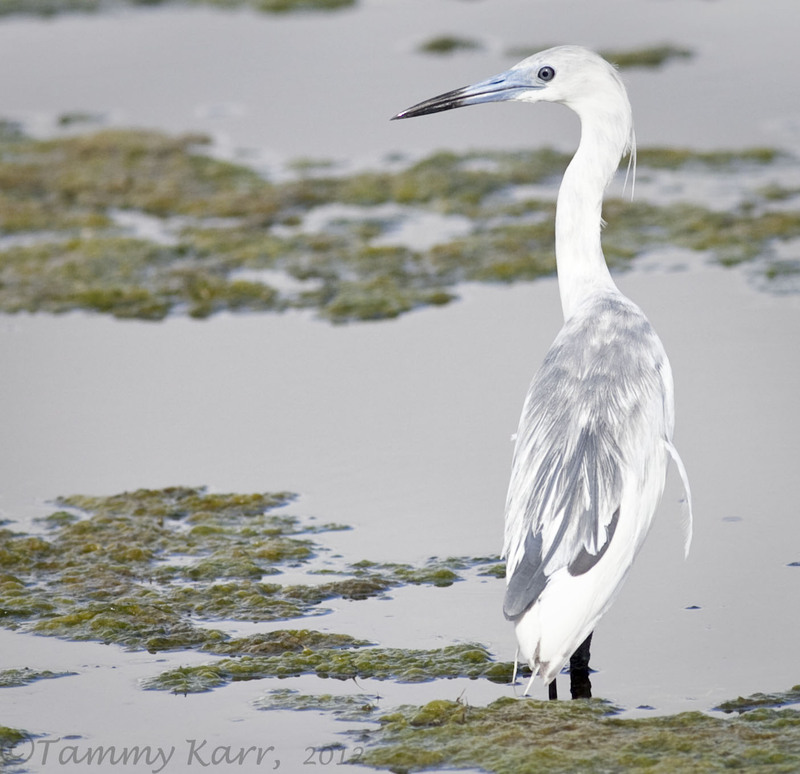 These herons are, as their name suggests, both small and blue. However, as juveniles, the slate blue hue that they are known for is unmistakably absent. Instead, juvenile Little Blue Herons are pure white. 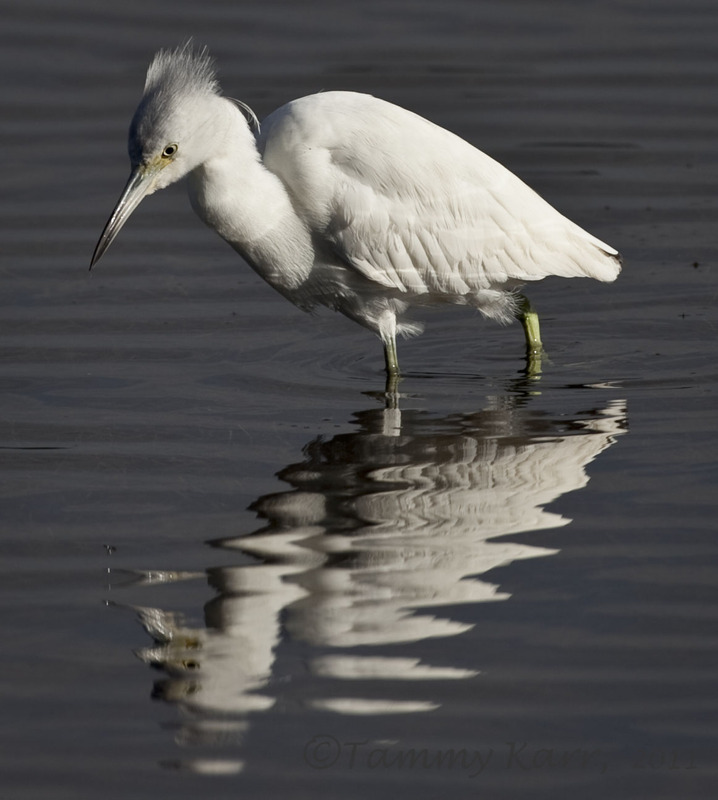 This lack of hue is actually quite helpful for the Little Blues as it allows them to blend with large flocks of other white waders, such as Great Egrets and Snowy Egrets. 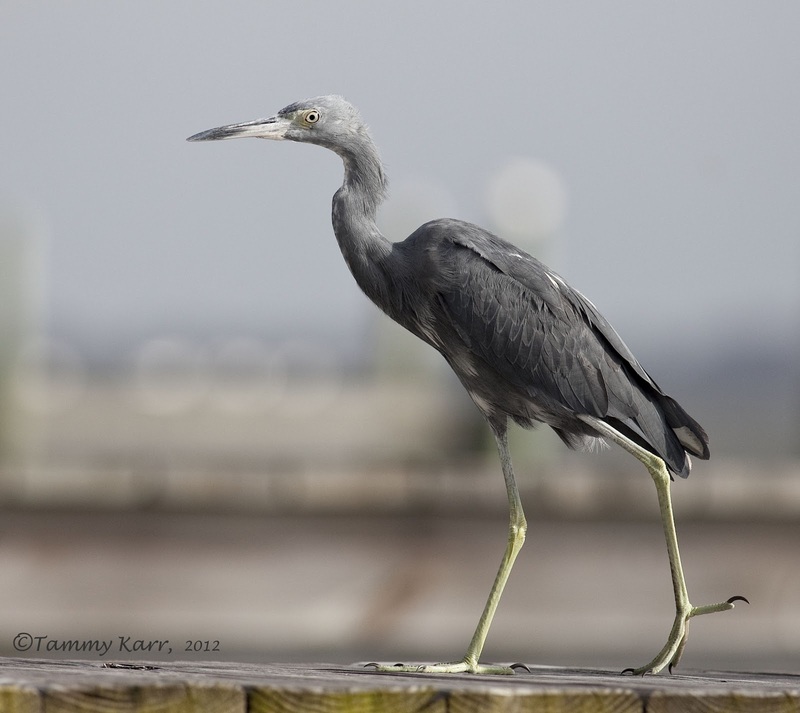 In a larger flock, these young herons have greater protection from predators. Around the time the juveniles approach their first spring or early summer, they begin their slow morph from white to blue. This Little Blue, one of the first ones I saw this summer, was in the initial stages of its morph in early June. I always enjoy seeing the Little Blues in this phase with their erratic mix of white and blue. The above photo was taken in mid-July and below photo was taken at the end of August. 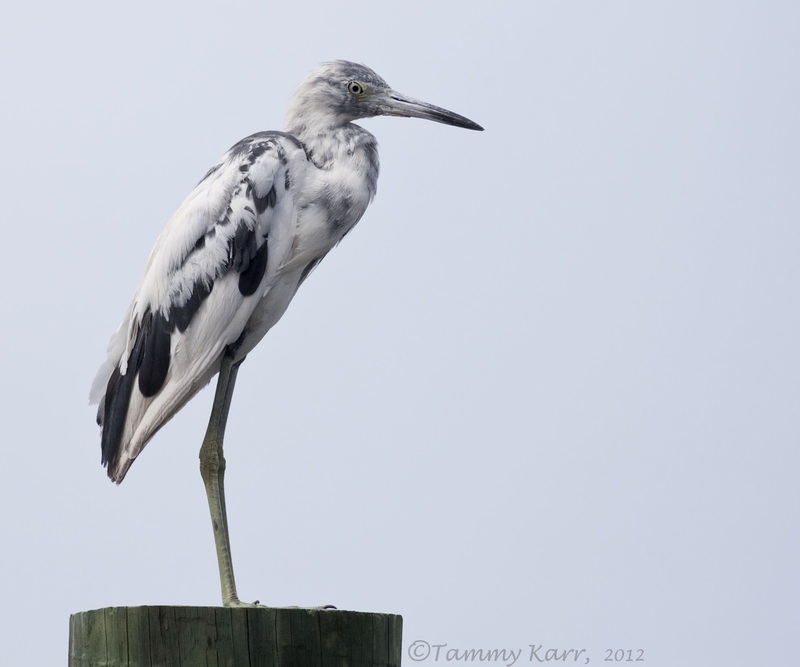 I am quite certain that it is the same heron as I see this visitor regularly meandering around my neighbor's dock. As this Little Blue nears it complete adult plumage, it now suits its name! I can see why you love that phase - very unique! I think I might have been fooled by the white youths. Wonderful post and photos, love to see the transition. I have only seen the adults up north. 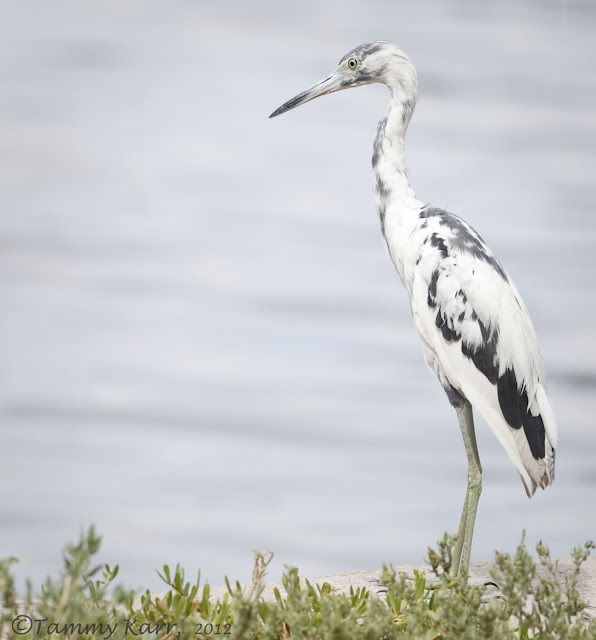 Gorgeous images of the Herons. I love the little blues! Great pictures of the heron, I never knew there were so many different types of herons. Here comes the blue heron and purple heron. Wow! Great documentation. It is very unusual to see that combination of cobalt blue and white together, and the end result is really a stunning bird. Love it. Wonderful post, Tammy! Little Blue Herons certainly are beautiful in all stages of their lives. I've never seen the them in the middle stage, so it's especially enjoyable to view your fabulous photographs. How lucky you are to see these lovely birds year round. I like the way you followed his evolution and how, from whitish he turns pied then blue! Gorgeous photos again, as you are used to! Still a bit jealous, LOL!, but since I just returned from the sea-side, I am happy to bring new birds in! Great and very informative post. Loved the splendid photos! Wonderful images Tammy. I enjoyed seeing the gradual plumage changes that you've been able to document. Very cool! What great pics and a wonderful documentation of the bird's molt! Thank you so much for all the comments!!! Very informative post and photos, Tammy! Lovely images! 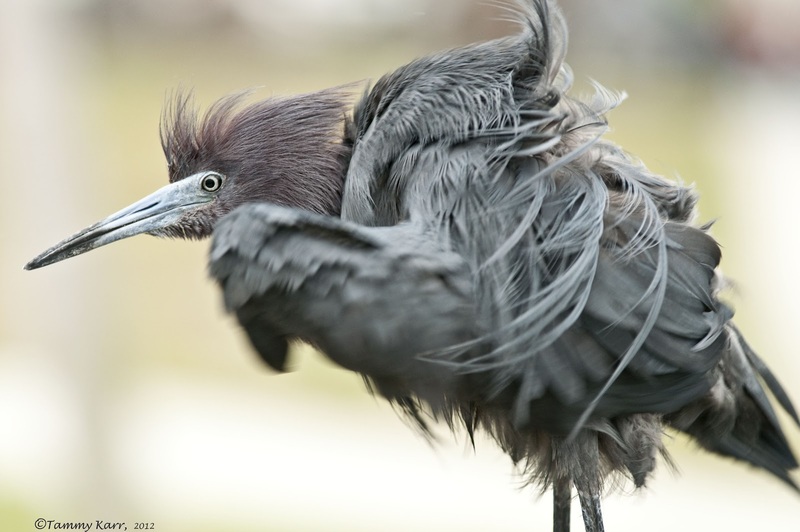 Terrific way of showing the different plumage phases of the Little Blue Heron Tammy!